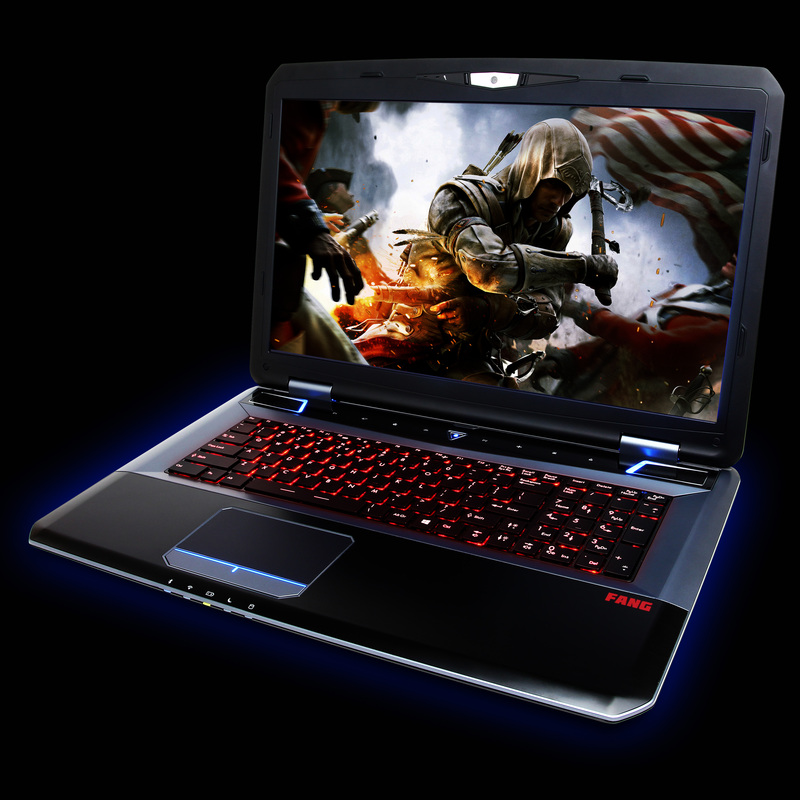 As mobile gaming platforms quickly progress to the levels of high-end desktops, we’ve seen a huge rise in variety as well as quality in notebook gaming machines this past year. 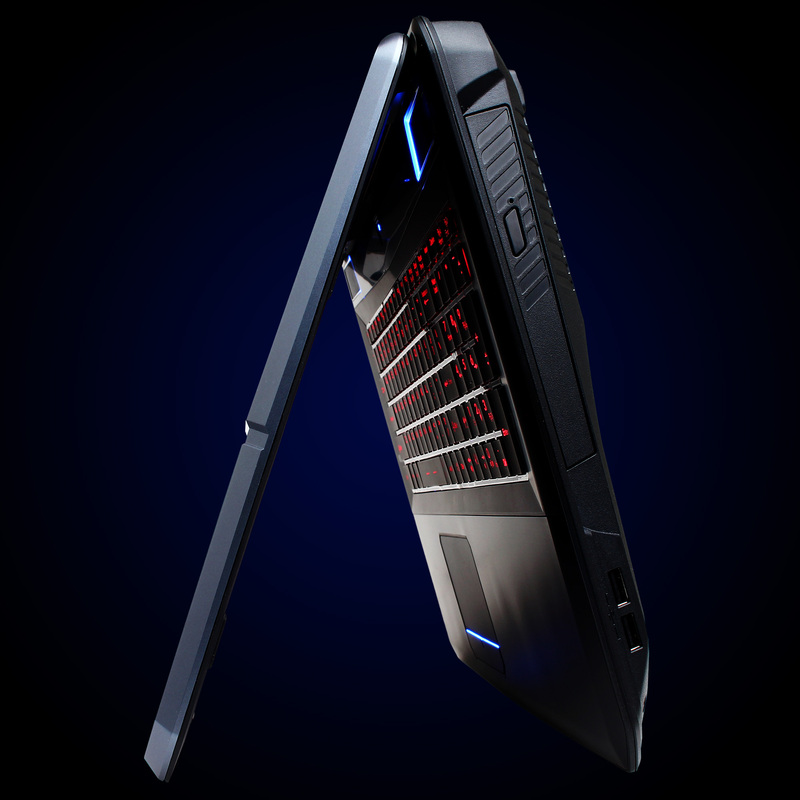 One fresh entry is Cyberpower PC’s Fangbook X7 series. We haven’t gotten to test this bad boy yet, but from what we’ve seen, it rivals in specs to that of already established notebooks specialized for high-end gamers. As you can see the X7 has three available customized forms, fitting multiple price ranges without dramatic drops in performance or hardware. 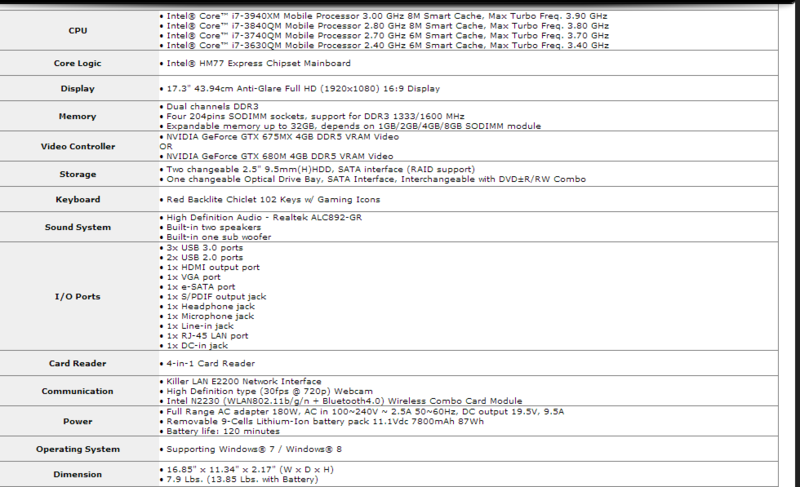 The X7-100, 200, and 300 can all still be upgraded on the cyberpower PC website. I can’t tell you exactly what the differences in benchmarks between these models will be, but the general rule of thumb applies that with more expensive hardware, the performance will almost always improve. The X7 is not light. Weighing almost 14 lbs, it’s a heavyweight. But then again, we have yet to see a well performing thin gaming PC (No, I do not count the Razer Blade due to it almost burning a hole through my lap). The X7 isn’t exactly a Macbook Air either. Thick and wide, it ranges together with the titans such as the MSI GT70 and the Dell XPS series. It’s got the usual inputs/outputs one would expect from a high-end gaming notebook, along with top end resolution and a backlit keyboard. Look forward to a more detailed review in the future, but for now drool at some of these awesome images.